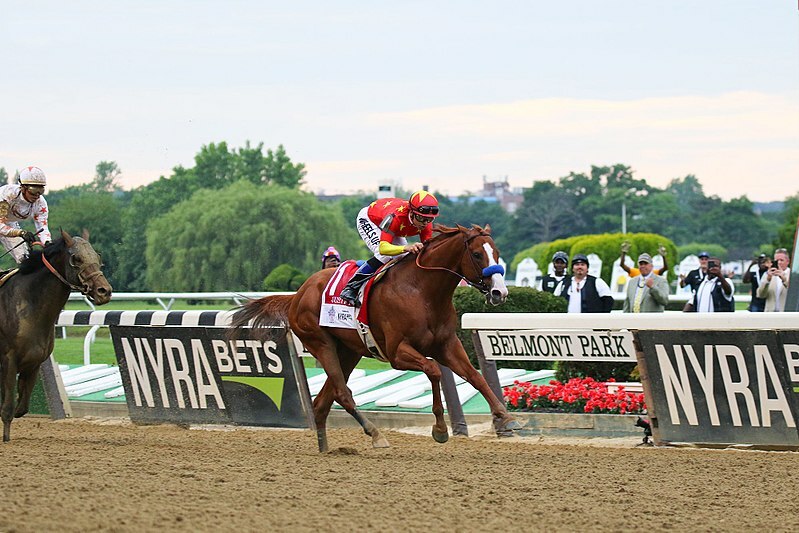 Woody’s Horse Hunch: What Are The Chances Of Justify Racing In The 2018 Travers Stakes? Horse racing's 13th Triple Crown winner could be making an appearance at the 'Graveyard of Champions.' Or not. Now it’s on to looking forward to Saratoga this summer, and rest assured, I’ll be over at the track in the mornings, searching out some new, up-and-coming horses, as well as some well established ones that might be ready to win some more big purses. At the barbershop, talking horses is an everyday reality when you live in Saratoga, and I, for one, cherish it and look forward to it, whether it’s the Kentucky Derby, the Preakness, the Belmont, the Whitney, the Travers or even some basic Maiden claiming race. All of us at Woody’s Barbershop will keep you up to date if you wish to engage. But I digress. We’re also talking about more than horses here as well. Last week, I had a guy come back in who originally stopped in to get a haircut when he came in from Las Vegas, to check out our lovely little town. Great news: He’s now moved his family to the greatest little city in the world: Saratoga Springs. He’d heard all about it, read all about it and he and his wife flew here a couple of months ago for a hands-on experience and simply, absolutely fell in love with the town and said it was everything and more that they’d hoped for. Now, admittedly, moving here ten years ago myself, due to “true love,” I got lucky, unlike this family who actually had heard about Saratoga 2,545 miles away, give or take a wrong turn or two. In fact, he’s not alone, as I’m lucky enough to become the barber of choice to many of our newest residents, and to me it’s an honor and pleasure, and I love giving advice on the best places to eat and go to, as well as the ones to stay away from (those shall go unmentioned). Admittedly, I eat out too often and shop far too much and am usually called out for it, but with it comes experience, and I always encourage new residents and visitors alike to go local, buy local and stay local and support all of our top locally owned businesses. I encourage all of you out there to do the same! The small city we live in, as almost all of you realize, is a goldmine. No, not literally. But what we do have here is better than gold. We have a city that is extremely clean, super-duper safe, amazingly beautiful and full of opportunities for work and growth. We’ve blossomed and prospered during rough times, when most places in our nation have faltered and struggled. We have great schools, and a police force that is beyond compare. Truly, we’re blessed to live here, and I’m extremely thankful that I fell in love and moved here, I’m proud to be one of the faces of our community that gets to welcome and know so many new members of our community.